South by Southwest banners hang in the atrium of the Austin Convention Center in 2012. This year’s annual interactive, film and music festival begins March 13. MVMT50 helped SXSW land the Rev. Jesse Jackson as one of the featured speakers at this year’s fest. Other big names attending SXSW Interactive include Mellody Hobson, president of Ariel Investments; Jeff Clanagan, president at Codeblack Films; Van Jones, co-founder of #YesWeCode; and NBA legend Charles Barkley. The organization began as Blacks in Tech four years ago but changed its name in 2014 to better reflect its agenda, Creech told The Root. He said that part of the idea for the name “MVMT50” came from the 50th anniversary of the March on Washington, but instead of looking back, the company is looking forward. “For the next 50 years, we believe the [civil rights] movement needs to be focused through technology and innovation,” said Creech. It was Jackson’s advocacy work through his Rainbow PUSH Coalition and ColorOfChange.org that forced some of the major technology companies, such as Google, Facebook, Twitter and eBay, to disclose the racial makeup of their workforces. While the numbers varied, the 2014 data showed that African Americans were about 2 percent of the labor force in the tech industry. Minorities and women continue to be underrepresented in science, technology, engineering and math, or STEM, fields, which serve as a pipeline to the tech industry. Issues like these will be topics of discussion at SXSW Interactive. Facebook’s global head of diversity, Maxine Williams, is a featured speaker on a panel with Van Jones called “#YesWeCode: From the ’Hood to Silicon Valley” on March 16. This year MVMT50 is an official partner of SXSW, and for the first time the organization will hold its panels inside the Austin Convention Center, where the festival is anchored. In previous years, MVMT50 events took place in nearby facilities. “We’re moving on up like George and Weezie,” Creech said. However, he makes it clear that the group’s exclusion from the convention center was never about race but space. There are more than 800 sessions, which makes it impossible for everyone to be in the convention center. 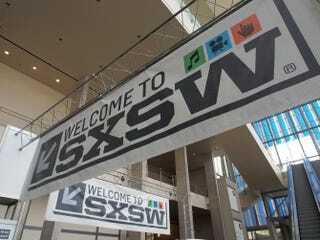 “I understand what it looks like, but the resources that SXSW puts into MVMT50, it’s massive. It’s like six figures in terms of the value and the access they give us,” Creech said. MVMT50 is sponsoring a dozen panels or sessions whose topics range from investing in tech in Africa to exploring black Twitter’s impact on the world. MVMT50 is also sponsoring a youth “hackathon,” where high school and college students will come together to collaborate on Web and mobile-based apps. Ask Creech what he is most excited about this year and he is diplomatic when it comes to picking panels. Instead he says he’s most excited by the Innovators Dinner that MVMT50 is hosting on Saturday with Jones as the keynote speaker and The Root’s publisher, Donna Byrd, as the emcee (The Root is also a sponsor). MVMT50 is also having a free party Friday night at the George Washington Carver Museum, which is open to non-SXSW badge holders. Creech wants blacks in the tech world to be able to connect at SXSW and form a pipeline that will help rising black entrepreneurs get the support they need. “Right now the model is to drive out to California and all your dreams will come true, but for black folk that’s not necessarily the case,” Creech said. Editor’s note: SXSW Interactive runs March 13-17.